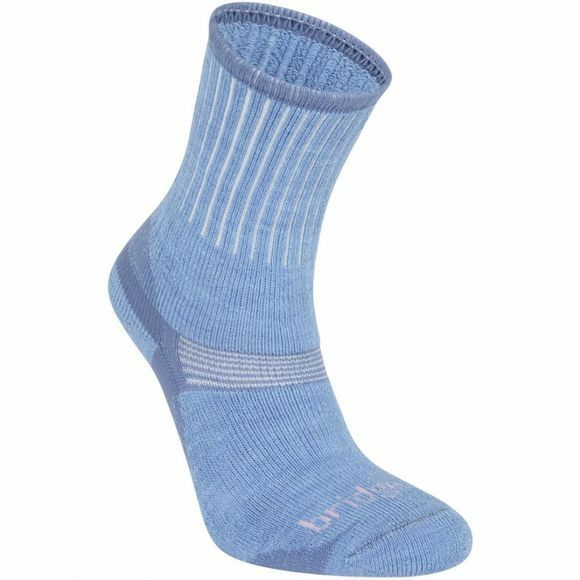 The women’s Merino Hiker Socks from Bridgedale are a pair of comfortable and warm walking socks. They offer all the protection your feet may require on a day’s walking around the fells to hiking around forest paths. These walking socks not only provide warmth but also offer great moisture management due to the Merino Wool fabric composition. The lycra composition in the fabric also means that they are great fitting as well as comfortable. These walking socks also feature a fully cushioned sole meaning that no matter where you may be exploring, your feet stay comfortable and firmly in place. Not the walking socks you’re looking for? Browse our extensive collection of walking and hiking socks.